Customized professional development at your school district. All lessons and activities presented during Professional Development training and conferences are correlated to Arkansas Standards, standards based and reflective of best practices. Is your district a partner district? Click here to find out. 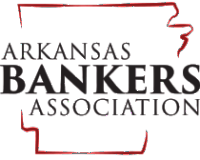 To download an Economics Arkansas Partner School District Agreement for the 2018-2019 school year, please click here. Contact us to schedule your next standards-based, activity infused, fun-filled, professional development opportunity.